A Pap smear is an essential screening test for cervical cancer. If yours comes back “positive” or abnormal, you may be concerned and fearful. To address these concerns, Carlos Hernandez, MD, provides further evaluation of abnormal Pap smears and treats the issues causing your abnormal results. If you’re due for a Pap smear or have abnormal results that you want further analyzed, call Dr. Carlos Hernandez Obstetrics and Gynecology in Pasadena, Texas, or book an appointment online. A Pap smear is a minimally invasive screening test. It’s usually performed during a routine pelvic exam. Dr. Hernandez swabs your cervix to collect a sample of cells and sends them off to a lab for analysis. During your Pap smear, you feel a little pressure but no pain. The lab analyzes the cells to check for changes that may suggest you could develop cancer. The frequency for Pap smear screenings varies between every three and five years, depending on your age and health status. Most women should start getting Pap smears at age 21. Talk to Dr. Hernandez about getting on a testing schedule appropriate for you. Pap tests are an opportunity to identify potential issues that can affect your health so they can be treated as early as possible before serious complications arise. Abnormal Pap test results can also indicate the presence of precancerous cells. Don’t panic if you have abnormal Pap results, however. This result is quite common and may be due to something as benign as recent sexual activity. Dr. Hernandez may recommend you have a repeat Pap test if your first one comes back as “abnormal.” Often the abnormal cells disappear on their own. In some cases, he may recommend additional diagnostic tests if you have abnormal Pap smear results. You may undergo a colposcopy, a screening test that uses a special magnifying lens to better examine cervical cells. During this procedure, Dr. Hernandez may perform a biopsy during which he removes a sample of cervical tissue for more in-depth evaluation. What is the treatment for precancerous or cancerous cervical cells? If your abnormal Pap smear results do reveal precancer or cancer, Dr. Hernandez may offer one of many treatments. Sometimes freezing abnormal tissue to destroy the cells is adequate. In other cases, you may benefit from a LEEP (loop electrosurgical excision procedure) to remove abnormal cells. Once precancerous or cancerous cells are treated, you’ll benefit from more frequent Pap smears to ensure the cells don’t return. Protect your cervical health by scheduling a Pap smear. 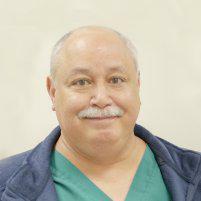 Call the office of Dr. Carlos Hernandez Obstetrics and Gynecology or book an appointment using the online tool.